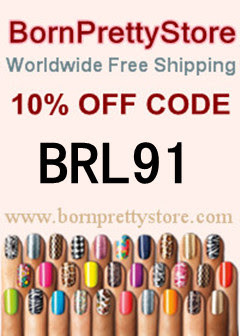 The polish I am posting about today is WELL overdo! I got this amazing polish for christmas from one of my polish besties, Katie, aka The Nailaholic. This polish was on my lemming list and she was so nice to get me a bottle as a gift <3. Isn't it fab? I know there are lots of glittery red "ruby slipper" type polishes out there but this one just really takes the cake in my opinion. It's so shiny and gorgeous, and this is just 2 coats. I really thought I was going to need three but it surprised me. What do you think of this polish? 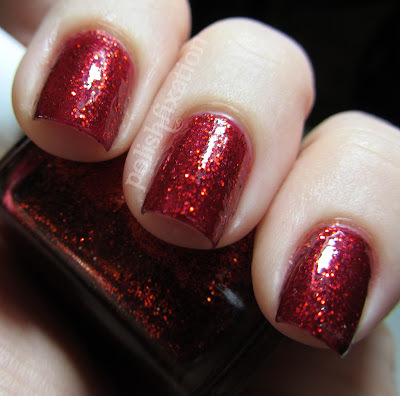 What's your favorite red glittery polish? ahh.. It's gorgeous!! You know I love reds!!! Adding this one to my wish list! 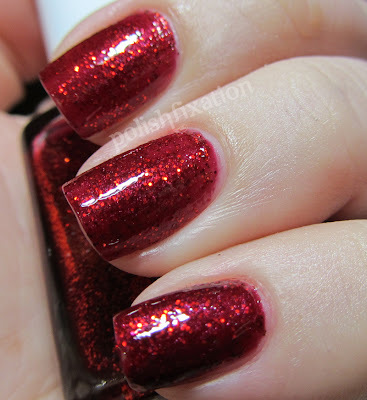 This is my all-time favorite red with glitter, as well. I love that some of the glitter is orange, so it looks like flames! Whoa, that polish is really fabulous!! Lovely! 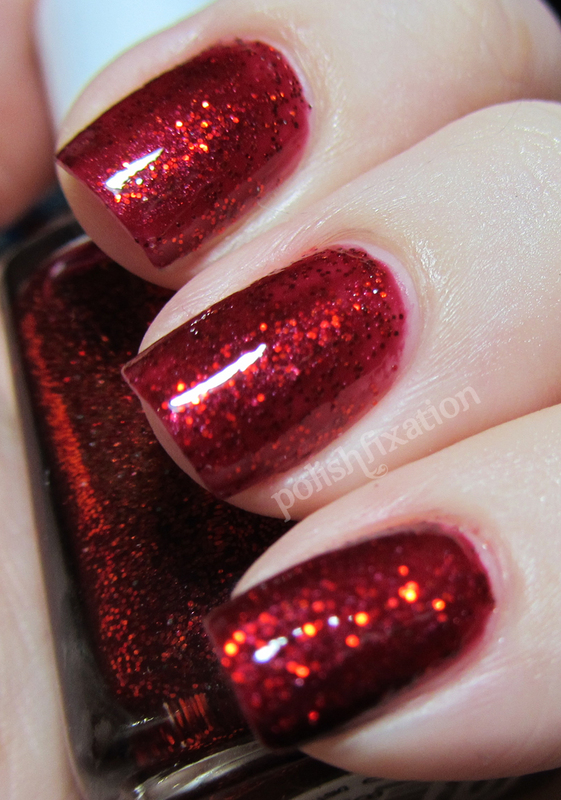 This is definitely my favorite ruby slippers polish. So gorgeous! Ugh this is gorgeous! Now I want it too! This is a totally fab sparkling red that knocks my socks off. My fav of all bright sparkling reds is and older OPI that is HTF and expensive now - called Dr. Santa - bar non - it's my all time fav red. I am glad I bought about 8 bottles when it first started to just go up on the secondary market for about $9. Really super close to R. Slippers but worth getting is Orly's Star Spangled.